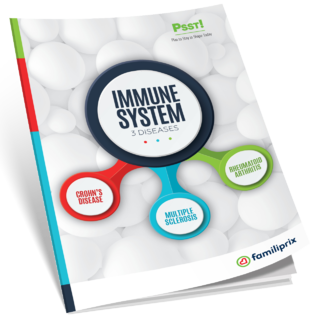 Our immune system works hard day after day to protect us from a host of harmful substances, such as viruses and bacteria. Because it’s constantly exposed to intruders, the immune system develops antibodies that act like tiny soldiers to help fight invaders. But sometimes the immune system is defective. What happens when it malfunctions? Antibodies mistake parts of the body for the enemy, and they start to attack. This type of malfunction leads to what are called auto-immune diseases. There are 50 known auto-immune diseases. In this guide, we’ll talk about three of them Crohn’s disease, multiple sclerosis, and rheumatoid arthritis. They’re more common than you think, and you’ll learn more about each one.